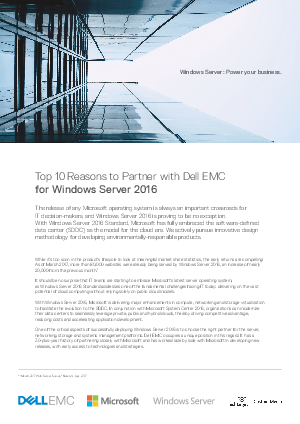 Windows Server 2016 is an important release in enabling IT to deliver on the promise of the third platform. It provides a path to a seamless, integrated cloud environment—incorporating public, private and hybrid models—with the software-defined data center as the hub. In migrating to this next-generation data center model, it is essential that IT leaders choose the right partner for the compute platform, as well as storage, networking and systems management.